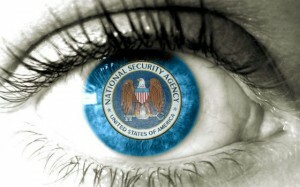 The United States is reviewing the way it gathers intelligence. This has now become a tired and oft-repeated phrase coming from the Obama administration, as disclosures continue to reveal the far-reaching extent to which the U.S. spies on its allies…. While U.S. officials have been summoned to explain themselves to different European leaders—Spain being the latest—aides to President Obama, from press secretary Jay Carney to Secretary of State John Kerry, have said there is currently a review underway to determine where the American spying program should go in the coming years…. Speaking on Monday (Oct. 28), Carney was vague about the current review and said he would not specifically address the latest disclosures from Edward Snowden. Still, Carney said there’s already been progress as the U.S. contemplates spying agreements with some of its allies, including Germany. “Even as that work is being done, some decisions have been made that reflect the president felt desire to find the proper balance,” Carney said at his daily press briefing. There are currently two reviews ongoing. One is within the White House, run out of the National Security Council, which is what Carney is referencing. The other is an outside group, consisting of members that were appointed by President Obama—including the former acting director of the CIA, Mike Morell, and Cass Sunstein, the husband of U.N. Ambassador Samantha Power and former head of the White House Office of Information and Regulatory Affairs… (end quote; emphasis supplied). Cass Sunstein is leading a review of police state practices in the NSA for President Obama? Is this a misprint or a joke? Sunstein is the thought cop who, in 2008, co-wrote Harvard Public Law Working Paper No. 08-03, “Conspiracy Theories,” advocating that the Federal government suppress and “cognitively infiltrate” conspiracy theorists. A tyrant who wants the government to suppress certain thoughts, and forms of intellectual expression, is now going to advise the White House on where the NSA should go in the coming years? A travesty!